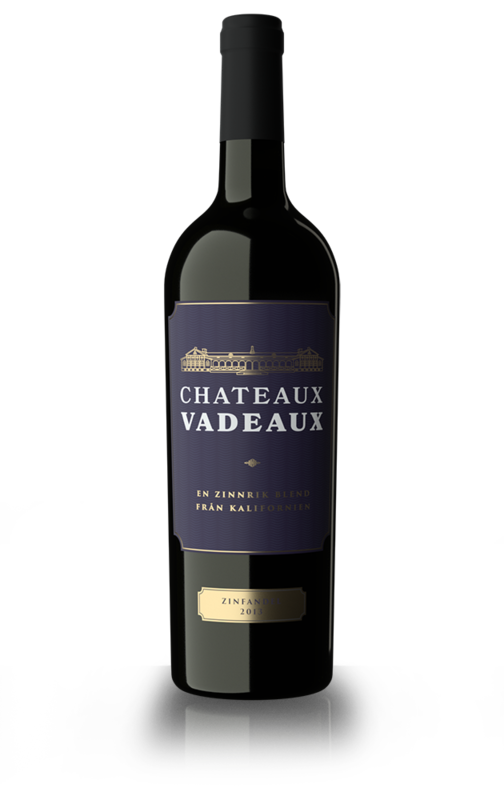 Chateaux Vadeaux is an all zinfandel red wine from California that we helped the winery design the brand and label for. The task was to create a recognizable and distinguishable yet classic and elegant look, with the goal to make it easy to see in the stores and also to make it fit nicely at a dinner table. The playful name is clearly visible and the label is balanced with exclusive colors and a classical typeface.